I started with russet potatoes (approx 1 large per person) that will be thinly sliced. 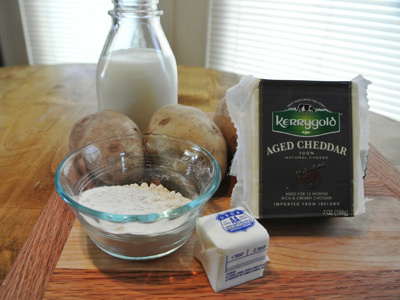 The cheese sauce is made with Irish aged cheddar cheese, butter, flour and whole milk. Lay the slices on a baking sheet single file. Drizzle olive oil and season with a sprinkle of salt, pepper and Aleppo pepper flakes. Pop into the oven at 400 degrees for 10 – 15 minutes. Check them after 10 minutes and if they are brown and beginning to crisp, turn them over for another 5 – 10 minutes. Meanwhile, melt 2 tablespoons of butter in a cast iron skillet. 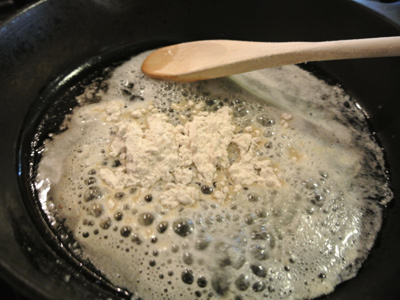 Add your flour and stir to make a roux. Pour in 1 1/2 cups of milk. As you stir it will begin to thicken like gravy. Now it’s time to add the cheese. I added 2 cups of grated aged cheddar. Stir gently as the cheese melts. If the cheese sauce is too thick, add a little more milk. 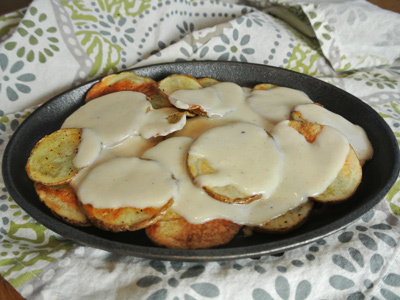 Cheese gravy, Yum! I thought it needed a bit of salt and pepper just to make it perfect. See how crisp the potato slices came out! I layered my chips so as to catch as much cheese sauce as possible. Ladle as much cheese sauce as you like over top of the chips. 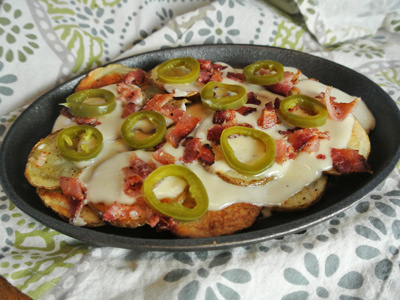 I added some crisp bacon bits and tamed jalapeno slices. Also some diced tomato, chopped green onion, cilantro, guacamole and sour cream. I found this cheese which turned out to be a harder cheese, it grated like parmesan or romano. 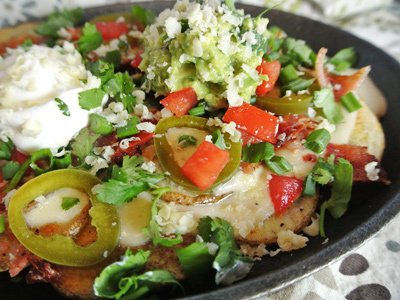 Just a sprinkle over the top gave these nachos a little added touch. 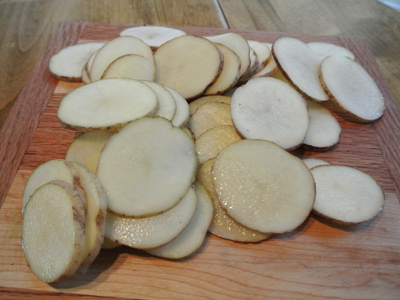 Slice potatoes thin. 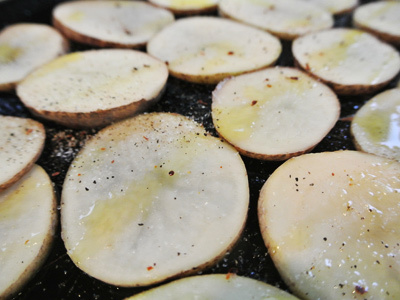 Lay potato slices on a baking pan single file. Drizzle with olive oil and sprinkle with salt, pepper and Aleppo pepper. Place in preheated 400 degree oven for 10 – 15 minutes. Check potatoes after 10 minutes, when they become crisp, turn over to cook an additional 5 – 10 minutes. Melt butter in a cast iron skillet. 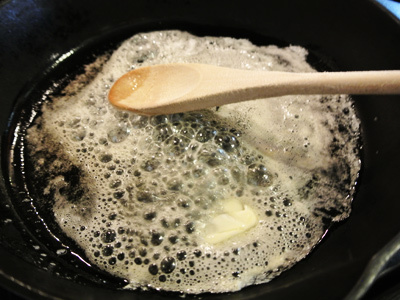 Add flour and stir until a roux is formed. 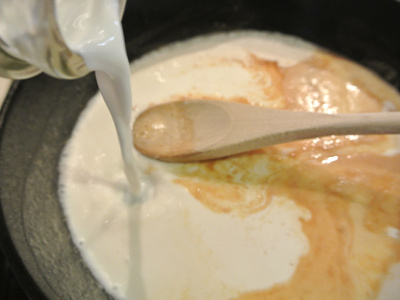 Add 1 1/2 cups milk to the roux and stir while the sauce thickens. 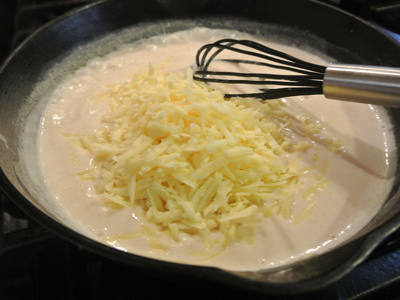 Add grated cheddar cheese and gently stir as the cheese melts. 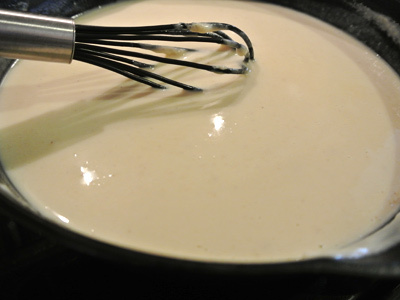 If the sauce is too thick, add additional milk up to 1/2 cup. 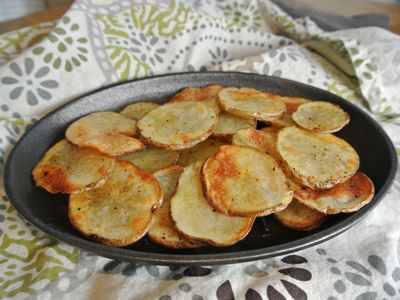 Layer crisp potato chips onto a dish or platter. Ladle cheese sauce over top. 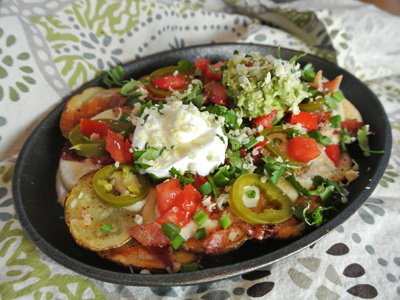 Add toppings of bacon bits, pickled jalapeno slices, diced tomato, green onion, cilantro, sour cream and guacamole. 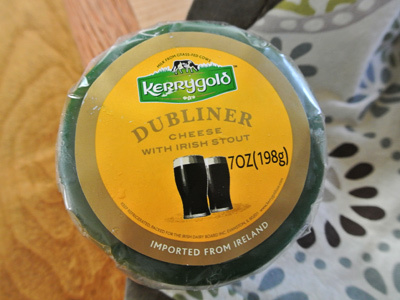 Sprinkle Dubliner grated cheese over top.